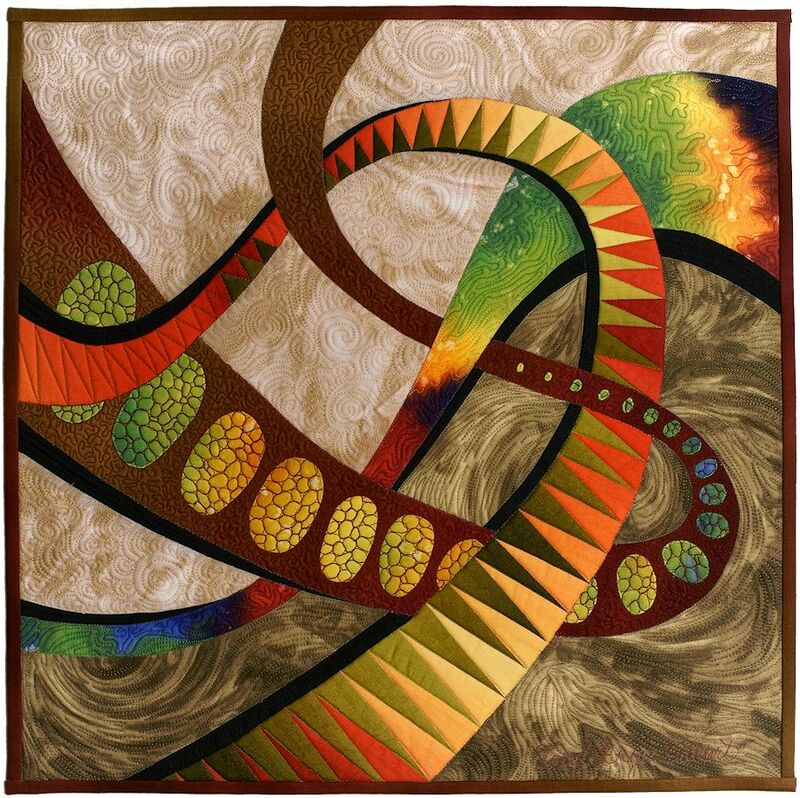 The Alzheimer’s Art Quilt Initiative (AAQI) is starting a newsletter! 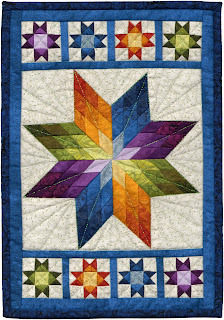 Sign up before noon (Eastern) on November 13, 2012 and you’ll be in a drawing to win “Bright Star” featured here. “Bright Star” was made by AAQI supporter Martha Wolfersberger of Frenchtown, MT. The quilt measures 8.25″ x 12″ and it is meticulously machine pieced and quilted. 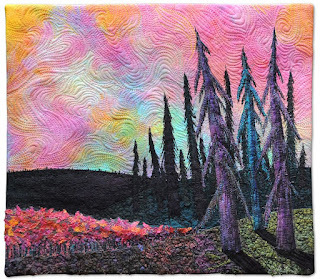 The Alzheimer’s Art Quilt Initiative® (www.AlzQuilts.org) is a national, grassroots charity whose mission is to raise awareness and fund research. The AAQI auctions and sells donated quilts, and sponsors a nationally touring exhibit of quilts about Alzheimer’s. The AAQI has raised more than $773,000 since January 2006. Thank you for making the AAQI possible! My Article About AAQI is in Embroidery Canada! Well, it was pretty exciting when I went to the mailbox and received the latest issue of Embroidery Canada, the magazine of the Embroidery Association of Canada (EAC). There on the cover was one of the little quilts I have made and donated to the Alzheimer's Art Quilt Initiative! Inside the magazine was the article I wrote and submitted some time back - far enough back in fact that I had forgotten all about it. If you would like to read the article, you can see it here. One thing I would like to mention is that because the article was actually written so long ago, it does not mention the wonderful contributions made by my home chapter of EAC, the Calgary Guild of Needle & Fibre Arts. 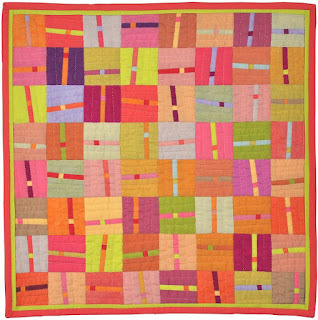 The guild has its own page on the AAQI website where you can see the quilts made and donated by guild members. All six of the quilts currently on the page are now up for sale at the big quilt show in Houston. CGNFA also has a sale table of excess stitching stash donated by members at each meeting and all the proceeds are sent to AAQI as well. The Alzheimer's Art Quilt Initiative (AlzQuilts.org) offers an online auction during the first 10 days of every month. 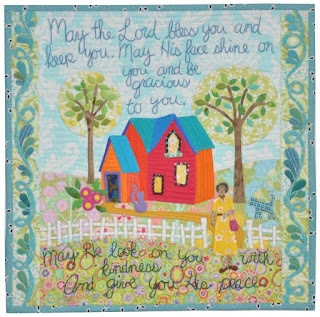 Each November, in honor of National Alzheimer's Awareness Month, the AAQI offers 12 very special quilts. This year the auction quilts have been made by world renowned quilters Alex Anderson, Hollis Chatelain, Caryl Bryer Fallert, John Flynn, Diane Gaudynski, Becky Goldsmith, Pat Holly, Libby Lehman, Marsha McCloskey, Sue Nickels, Mary Sorensen, and Ricky Tims. The quilts are about 16" x 16" and the auction is open to the public. Last year the 12 quilts offered in the November auction raised more than $14,000 for the AAQI, an all-volunteer effort to raise awareness and fund research through art. Visit http://www.alzquilts.org/ciqa.html to preview the rest of the quilts. 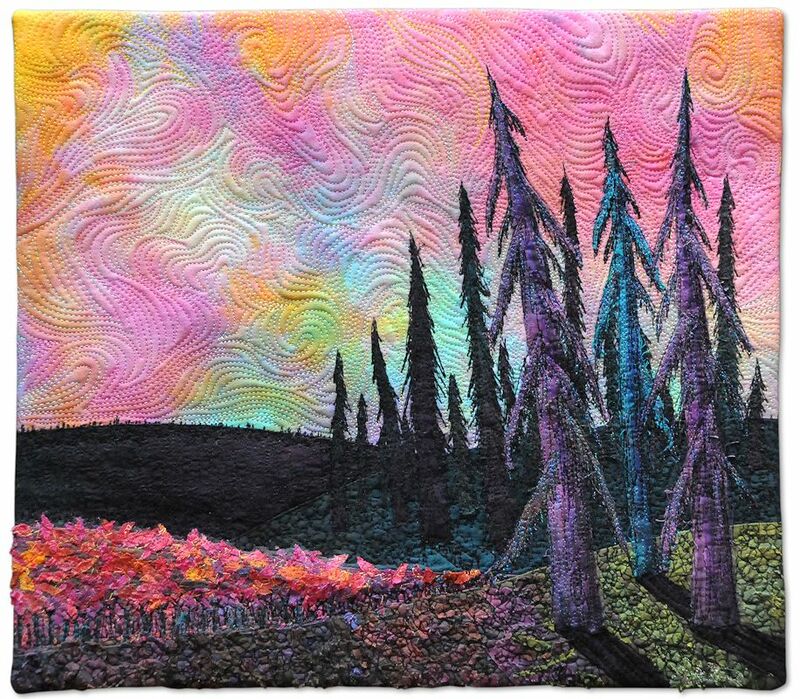 The Alzheimer's Art Quilt Initiative® (www.AlzQuilts.org) is a national, grassroots charity whose mission is to raise awareness and fund research. The AAQI auctions and sells donated quilts, and sponsors a nationally touring exhibit of quilts about Alzheimer's. The AAQI has raised more than $773,000 since January 2006. 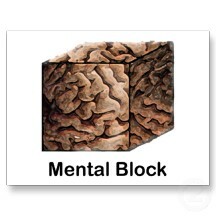 Here I am, completely blocked! This has been going on for some time now. Remember me? I regularly resolve to stitch a minimum of 15 minutes per day and stick to it year after year. Now I have not picked up a needle in months! What do I do about this? At first it was exhaustion that kept me from stitching - gut wrenching exhaustion from working two jobs all summer and running myself into the ground. Then one job ended for the season and the other picked up. Since I am a sucker for punishment I found another job and planned to work two at once again but my regular employer questioned me dedication since I was planning to moonlight so I left that job. I am now housesitting/babysitting for a couple weeks and after that I will be unemployed. I am actually relieved about my upcoming unemployment. I have been so exhausted since the summer I have been nodding off at the wheel of the car, falling asleep sitting up and unable to concentrate on anything. Exhaustion bred depression and depression enhanced the exhaustion until I was completely immobile. I have now been sleeping and little else for ten days or so and it is time to either start stitching again or give it up. How to start??? It seems that my muse has passed away quietly over the last few months and I am not sure she is coming back. Advice anyone??? When you open it up there is room to park your needles and included were these two sweet counting pins adorned with crystals. The second item is a needleroll - you can see it here rolled up as well as opened up and ready to add a needle or pin stash to. Speaking of brilliant ideas, I had never seen or heard of these thread straighteners either but |I'm glad I have now! Now, this is just so sweet: two little shells which sandwich a pincushion inside and two beautifully embellished pins added for marking your place in your work. Sometime it is all about the presentation! This is a handy piece of beeswax is in the shape of a starfish. I received a couple more including a lovely ATC by Joyce Gill but I think I left that photo on my other computer so I am not sble to shared them. Some attendees who do not have time to make little favours generously shared blank insert cards and patterns. I have to admit to having an absolute favourite and it is this one. \Everything is included to embellish this cute little pin stand - the pinstand itself, thread, silk ribbon, evenweave and choice of patterns as well as a piece of that fuzzy fabric you use to hold your beads when you are beading.I'll share this one with you again when I have completed it and I'll show you what I made for my favours - I don't have any left but want to make some more. 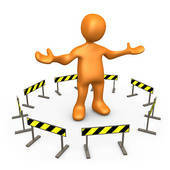 Isn't it a great custom we sitchers have of gfting each other with little tools and trinkets when we get together? 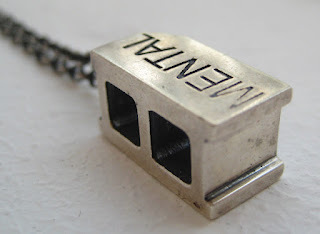 I love making them, giving them and receiving hem and am always on the lookout for new ideas! I would love to hear about any more ideas anyone has.